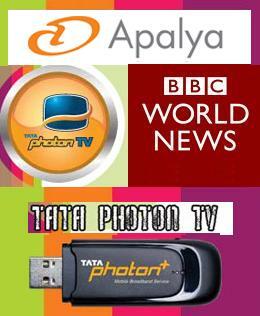 India’s leading Mobile TV content provider Apalya technology announced its partnership with BBC World News .The BBC World News channel will now be available on Tata Photon TV Service across India. Mr.PV Shyam, Director, Distribution and Development, South Asia, BBC Worldwide, India, stated “BBC World News currently reaches more than 21 million homes in India. As a result of our partnership with Apalya, we are delighted to broadcast on the mobile TV platform which would increase our audience reach even further. The BBC is always looking at newer platforms to showcase our first-rate news and information content, with Photon TV Service we are happy that new audiences will now be able to access the channel.